Its been two weeks since my last post and boy, have I missed writing! Where have I been, you ask? To my surprise, I was unexpectedly asked to go to the Grand Cayman Island for a whole week on business! I know what you’re thinking…of all places to be sent for business, you can’t get any better than a hot caribbean island. I arrived around 12noon on Sunday and had the rest of the afternoon to lounge around on the white fine sandy beach along the famous 7 mile beach. Only having visited the island once for the day, a long time ago while on a caribbean cruise, I didn’t know much about where to go to eat which, our hotel concierge came in very handy. 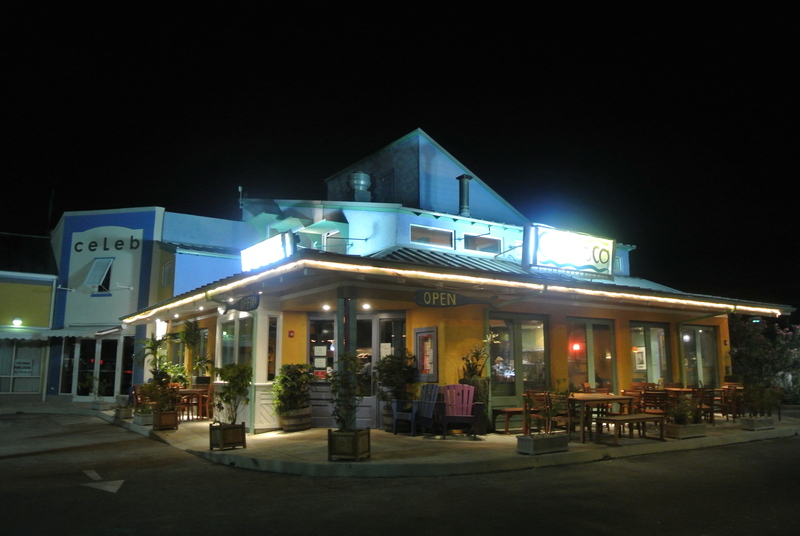 That night, our concierge suggested Cimboco – a nearby local cafe featuring “modern” caribbean cuisine. 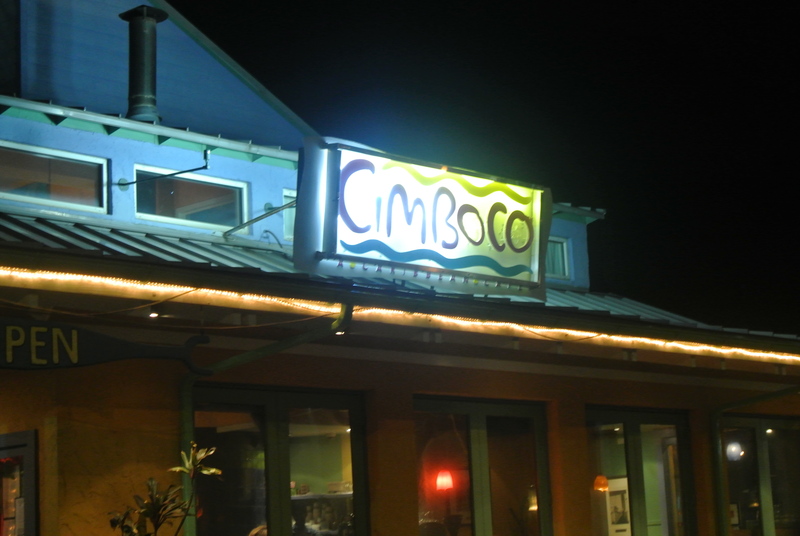 Cimboco was named after Cayman’s first locally built motorized sailing ship with the same name – which stands for “Cayman Islands Motor Boat Company”. So, not only did we learn a bit of history but had a delicious first meal to boot! Check out our dishes! 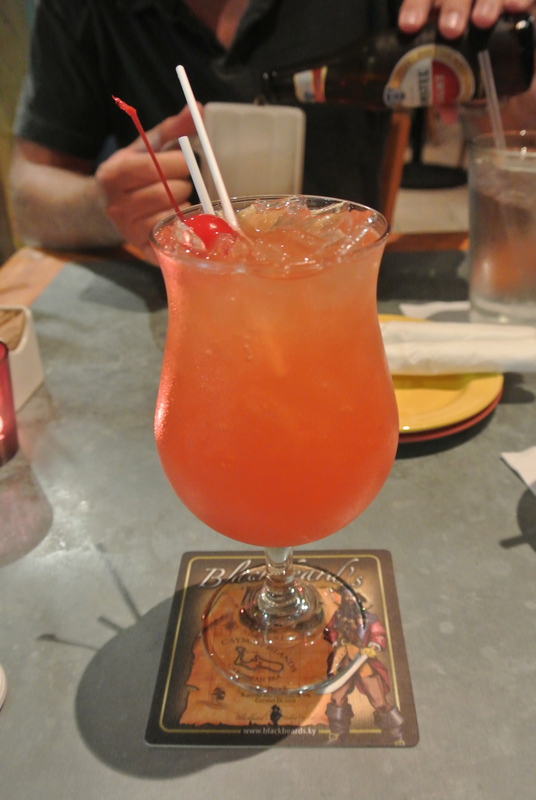 Sipping on a caribbean cocktail – made from rum of course! 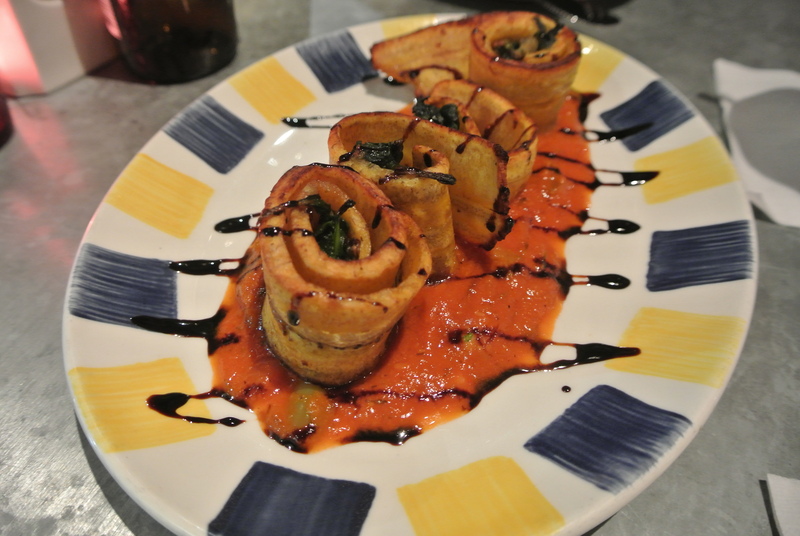 Plantain Wrapped Callaloo – which is a type of spinach wrapped in plantains sitting on top of a spicy tomato (Cayman Style) sauce. 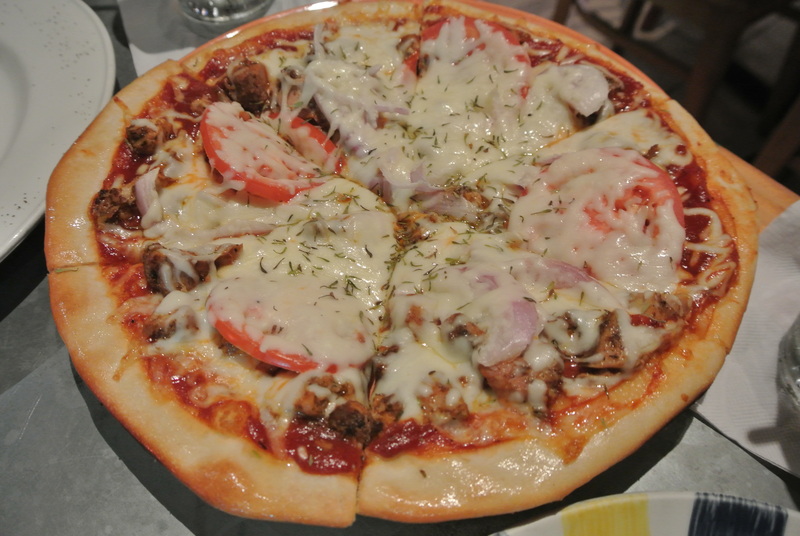 BBQ Jerk Chicken Pizza – when ordering we were asked if we like spice and boy, was it spicy! My mouth was on fire but I loved every bite! 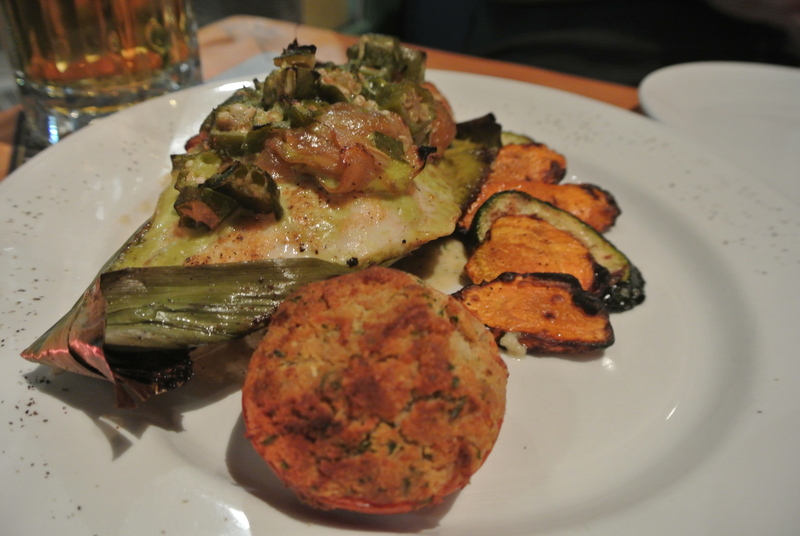 Banana Leaf Roasted Snapper with okra, cassava (like a potato with a taro texture), zucchini, carrots and a stuffed tomato. This dish was my fave! The fish was so flakely and moist. finally...you are back!!!! it's not the same without a naokoEats post! lucky you though - sounds amazing!!!!! Wow, what's your job?! Are they hiring?! Lol...you are one lucky woman. The food looks delicious but it's the thought of walking along a white sand beach that has me drooling. Did you stay long? I know.....I am very lucky :) I stayed 6 days, 5 nights but I didn't have time to visit any of their beaches other than 7Mile beach where we stayed :( I'll just have to go back!